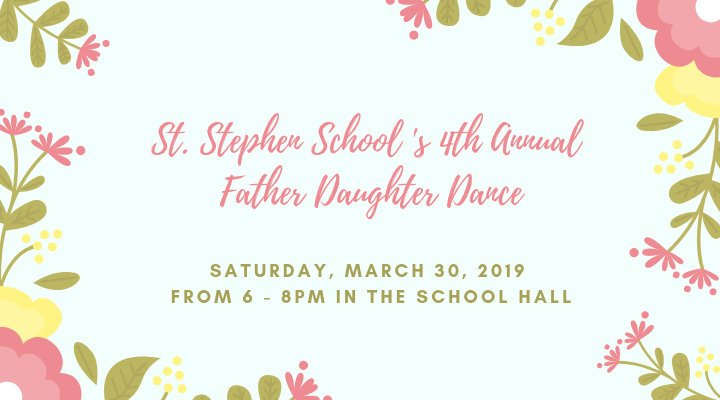 The Father Daughter Dance is back again! On Saturday, March 30, wear your best spring attire for a night of father daughter fun! The dance is from 6:00pm to 8:00pm in the school hall. You'll play lots of games, take funky photos in the photo booth, and then dance the night away! Light fare and beverages will also be served. Tickets are $20 per family and can be purchased via check or online using the form below. Please make all checks payable to St. Stephen's Fathers Club and send to Matthew Alkins c/o Madison Alkins in 3rd grade.